Sweet Summer. Those extra hours of daylight are the gift of time. 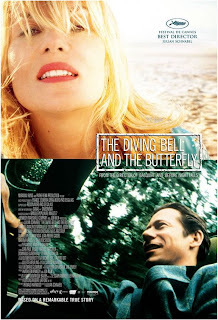 Time to read books like....The Diving Bell and the Butterfly, about the French editor of Elle magazine who suffered a stroke at age 43, confining his ability to communicate to the blink of one eye. 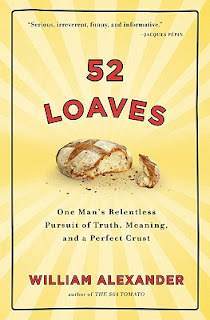 And 52 Loaves, about a man who attempts to bake bread from scratch...no really, from scratch-homegrown wheat, harvested microorganisms for a starter, and built a backyard oven, and most impressive of all-made me laugh in the process. 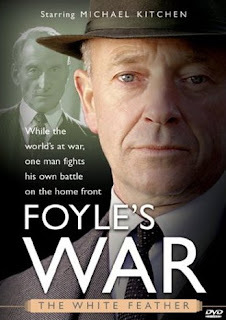 And to watch TV, like Foyle's War. It's the story of World War II on the homefront of the small English seadside towns. Turns out the story of war at home is every bit as interesting as war on the frontlines-especially when you've got an charismatic, hard-boiled Chief Inspector like Foyle, making sure everyone toes the line. Ahem, Race for your, Life Charlie Brown is for the charges-sorta. I may not watch it from start to finish, but when the kids have it on, it makes me laugh. 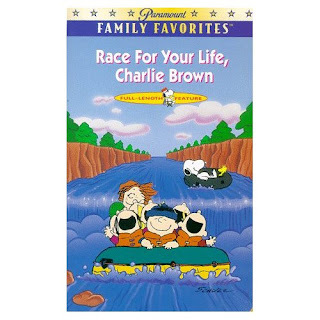 Charlie Brown heads a river rafting team in a competition against some antagonistic bullies. Even Snoopy has to confront his fears-and the bullys' clawing cat. And to eat. Don't worry-we're eating corn, watermelon, zucchini from the garden, yada, yada, yada. But there's still room for some of these current favorites. I can't decide which I like better, Pretzel M and Ms or Peanut Butter M and Ms. Hmm, I think I'd better try them again, just to find out. 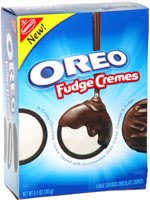 Per my sister's recommendation, I bought some of the Mint Oreo Fudge Cremes and put them in the fridge. Hide them in the back of the fridge because these slim little cookies go fast. 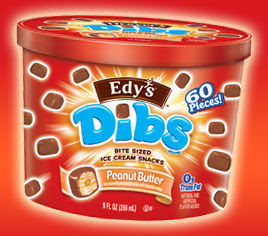 Have you tried Dibs before? It's like a little poppable Eskimo Pie. They come in mint, peanut butter, and Nestle Crunch-my favorite. All right, readers: It's time for you to make some recommendations. What should we all be reading, watching, and eating before the summer's through? Leave me a comment and point me in the right direction! I got nothin'! Summer is always far busier for my family than the school year is. Things like gardening, overtime for my hubby, outdoor fun, my granddaughter being home from school all keep my days very, very full. I'm looking forward to fall when I can find time for reading and crafts again! I almost with Annie Jones - hobbies, outdoors, etc. keeps me from reading and watching very many movies. The only new product that I can remember off the top of my head that I've bought is Soy Vay Veri Veri Teriyaki. We both loved it! I recently read "Funny in Farsi" by Firoozeh Dumas. It's about an Iranian girl growing up in California. It was hilarious. I was laughing the whole time. I think it's a perfect summer read. I enjoy reading memoirs and this is one of my favorites. Have you read "The Women of Genesis" series, by Orson Scott Card? A friend recommended them to me and I just finished "Sarah" and am reading "Rachel and Leah" and then "Rebekah". I really enjoyed "Sarah" and am liking "Rachel and Leah" thus far. Historical fiction is one of my favorite genres. Easy reads too :)I also recently read "The Glass Castle" by Jeannette Walls. It is a memoir and a haunting one at that. I didn't quite know how I felt about it at first, but it definitely makes you think about your life and the lives of others. 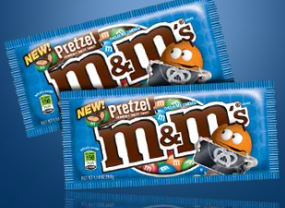 I have to place a vote for pretzel M&M's. I think they are the best thing to happen since sliced bread! Sounds like you are enjoying your busy summer to the fullest. I'm looking forward to the fall, even though I'll be busier then. I'm totally intrigued by the name of the sauce. I've got to try it! I even like the title of that book. I'm putting it on hold at the library. I couldn't put The Glass Castle down. It is absolutely haunting. I haven't read any Card, and I really should since I read his article each week in Mormon Times in the Des News and think he is a phenomenal writer. That's it-I'm reading one this summer. Amen! Long live pretzel M and Ms.
Read: The Hunger Games and Catching Fire, both by Suzanne Collins. They're technically young adult books, but I AM OBSESSED, they're SO GOOD. PLUS, once you finish the second one and are dying to find out what happens next, you only have to wait until the end of August for the final book (Mockingjay)! OK, Hot Mess Housewife, I'm in. It's so fun to have a page-turner. Do you think I could read them out loud to my kids, or is it for teens and grown-ups only? Prudy, one of my all time favorite books is "The Guernsey Literary and Potato Peel Society." It is about the island of Guernsey during WWII. I had to force myself to slow down reading because I was so sad when it was finished. It is a book with such beautiful writing! Have you ever heard of goodreads.com. It is a great place to find book suggestions! Have you tried coconut M&Ms? Wonderful! whose main character us based on Eliza R. Snow. I also really enjoyed his Red Prophet series (Seventh Son). I use goodreads as well and get great suggestions from my friends. This summer I am mainly focusing on books about Colonial and Revolutionary America, but I'm not finding as much time to read as I'd hoped. Thanks for the movie recommendations. The sweet stuff I don't need recommendations for. I've GOT TO STOP EATING SUGAR! Ack. I laugher when you said you will have to try them again to be sure. Funny. I loved Orson Scott Card's Ender's Game. So good! My American Lit teacher has us read it in high school. There I was a teenager in St. Louis surprised to find an LDS author on our read list. Absolutely loved the book. I will say that Saints was really good too.